January 3, 2019 By Jonathan K.
The 2019 World Series odds sees a familiar crop of teams at the top of the odds for those who followed the 2018 season. 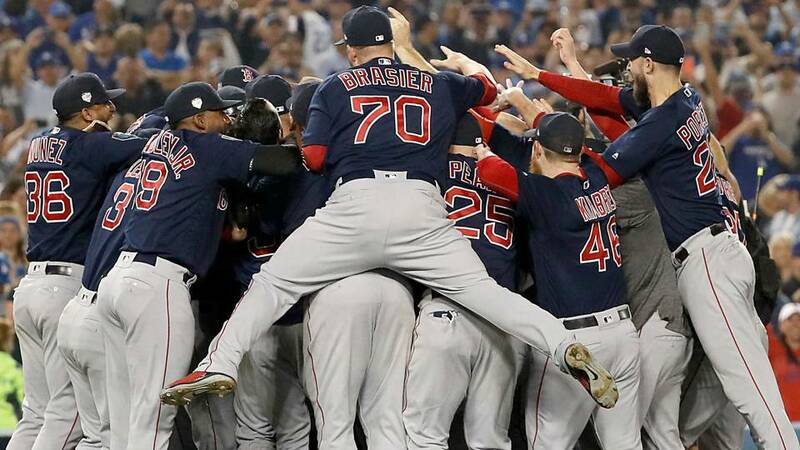 Just under a month ago, the Boston Red Sox went 4-1 over the Dodgers to win the 2018 World Series. The Red Sox are currently atop the 2019 World Series odds. Their opponents, the Dodgers, Have the fourth best odds. However, they are only separated by 100 point moneyline or less from the next top two teams. The Houston Astros and New York Yankees are the two teams ahead of this year’s runner-up. The Astros sit 50 points behind the Red Sox at +700, while the Yanks are at +750. You can see the full 2019 odds below, pulled from Bovada.